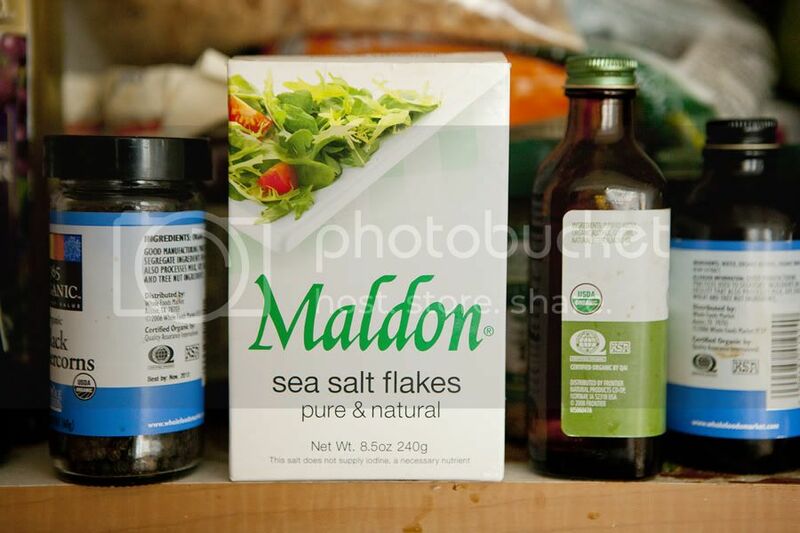 If someone asked me which pantry items I couldn't function without, Maldon sea salt (along with good extra-virgin olive oil) would definitely be among them. When I first read about Maldon salt on GOOP, I laughed a little. "How could one, expensive type of salt be that different from your everyday container of sea salt?" I thought to myself, chalking it up to Gwyneth's infamous pickiness. But then, of course, a recipe for roast chicken I came across also specified Maldon, and so I gave in and bought a box--the very last box in all of Whole Foods Tribeca, in fact. Apparently, it was a bit more popular than I had thought possible.